Hello there and thank you for stopping by today. Today is the second day of the MFT August Release Countdown. Only 4 days until the new release (yay)! Be sure to head over to the MFT Blog for full set and die reveals for the day. This release is packed full of gorgeous new products. 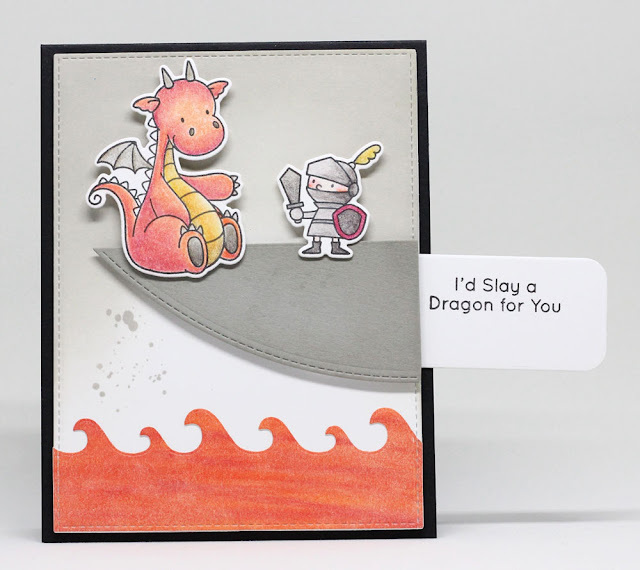 My card today features the new Magical Dragons stamp set and Die-namics. 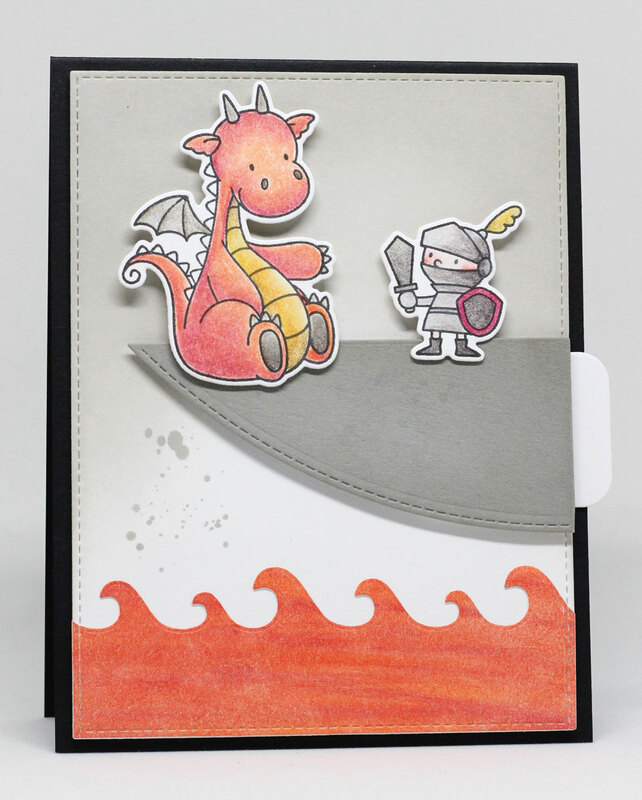 I ADORE the perfect little creatures and the mini knight in shining armor is TOOOOOOO CUTE. This is one of those "gotta have it" type of sets. :) I used the Stitched Valley to create a cliff. The knight is battling the dragon, who will plummet into the lava at any moment, as evidenced by the crumbling cliff. The sentiment is tucked behind the front panel using the Slider Channel Builder. It makes the perfect compartment for a concealed sentiment. The characters were both colored with colored pencils and gamsol. These products and many more will be available for purchase in just 4 days, on August 2 at 10 PM EST. Be sure to check out the MFT Blog to see what the rest of the team has come up with today. Love the little scene you created. Super cute, interactive card. I really like interactive cards! The dragon is too sweet to slay other than the knights heart! Cute and very creative. I liked your story for your card. Thanks for pointing out the crumbling cliff. Love your little scene! So sweet. Thanks for sharing. Adorable dragon card! Can't wait to get this set. Your lava is great! I adore your card is super cute!